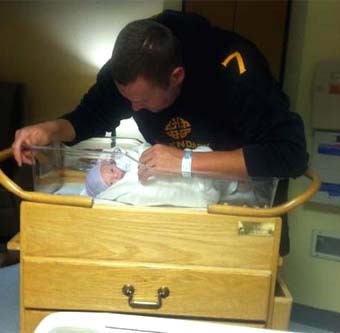 …have been pouring in from Steeler Nation the last few days for Ben & Ashley on the birth of their son, Benjamin Jr.
*Thank you to everyone who sent messages of congratulations! They were deeply appreciated! You can see the announcement and first photo of Benjamin Jr. here. You can see the surprise message and photo for the new dad here.